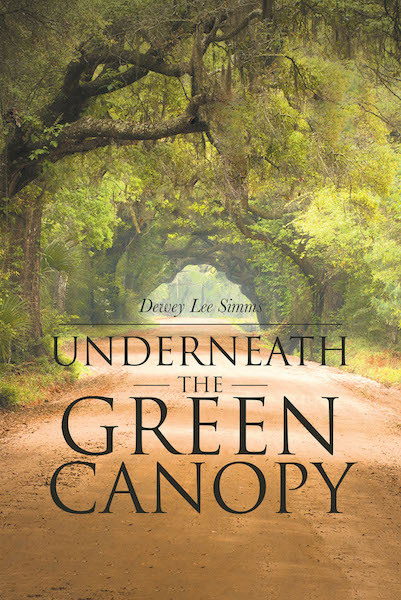 Underneath the Green Canopy was inspired by an actual old farmhouse built in Lincoln County, North Carolina, sometime around the late 1700s or early 1800s. All of the events are centered around Denver, North Carolina. The house is still a beautiful and a magnificent looking home today. The book is all fictional with some actual events, times, places, and figures. Most importantly it is good clean entertainment reading with most of the wording in easy readable form. It will not challenge one's mind with a lot of unusual words. A mystery story at the beginning and will not be mentioned again until the mystery is solved at the end of the book. The White Oak Farm story will take you back five generations of the Stone family starting with the first Thomas McCoy Stone in the late 1700s that borrowed money to start his farm. He went on to be one of the early United States Senator that helped with the farming community throughout the country. It talks about farming, horse farming, slavery, Civil War, dairy farming, gold rush, oil discovery, new technology of the day, World War I, Depression era, and touches on World War II. Many love stories thought out the five generation of the Stone family.